Hallo guys, how are you today? Well, it has 2 months after my last update. And now, I came back with a new anime theme from anime of this season. 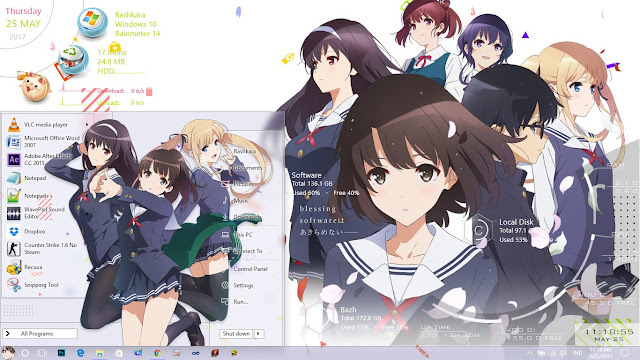 That is Saenai Heroine no Sodatekata Flat or people usually called it as Saekano. The concept of this theme is same like Youjo Senki theme before, but it actually different. So what different? You can look it at the picture of windows explore below. Today I wanna share another theme for windows 10. This time I choose an anime from the winter season, that is Youjo Senki. 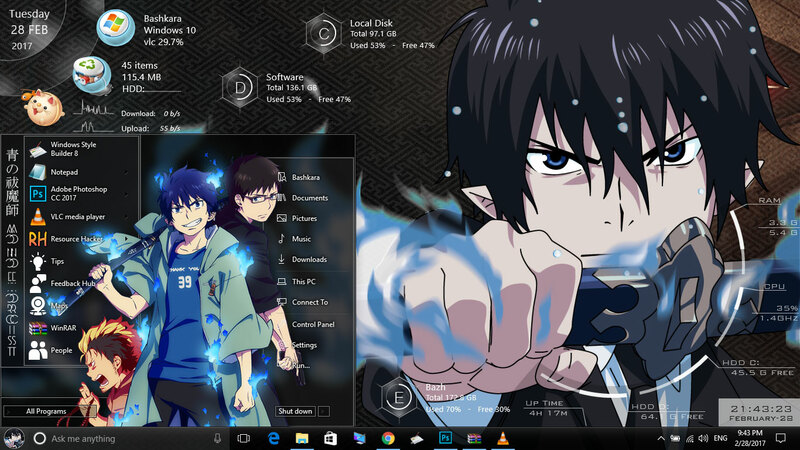 Actually, this theme is the improvement from Ao No Exorcist theme before. There are some parts that are less good. 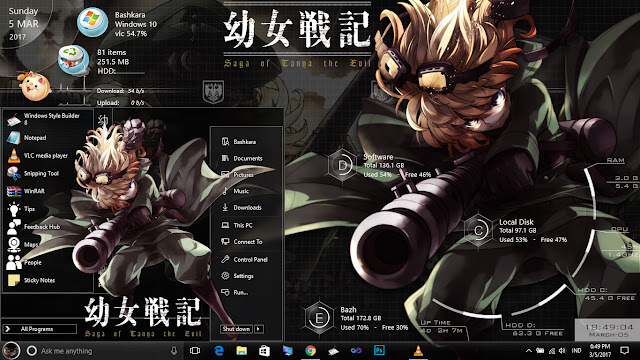 For your information, I also had made the theme of Youjo Senki for windows 7. I'll update it after a few days from now. Glance look the same as Ao No Exorcist theme but didn't. I had changed the windows frame to be like the default theme of windows 10. You can see it after installing this theme. It's been a long time I was no longer create a theme for windows 10. As you know, Microsoft always performs the update for windows 10, and that made us as a theme creator got so many problems to create a theme. But, a week ago, after I update my blog. I got some advice from my visitors that they want me to create the theme for windows 10. So, I tried to find out the percentage of windows users from Netmarketshare and gs.Statcounter. Then I found that windows 10 was rated 2nd in the category of windows. So I decided to create the theme for windows 10 from now. For your information, I used windows 10 Pro version 1607. This is the screenshot of start menu of my windows 10 theme. If you ever used a theme of my windows 8.1, you certainly will not be familiar with the style of the start menu. Yes, I adapted style from windows 8.1 and also windows 7.